Media Servers and Content Management Systems which drive some of the most prestigious digital signage installations in the UK. Designed for reliable operation, with flexible and extendible configuration, backed up with mission critical maintenance plans. Working with world-leading brands and agencies to deliver innovative and creative experiences. Our technical expertise guarantees the accurate delivery of your vision, and ensures it performs reliably whether your campaign lasts an hour or a year. Whether it's custom software or hardware, NullMedia's research and development capabilities have a track record of creating solutions which simply work. 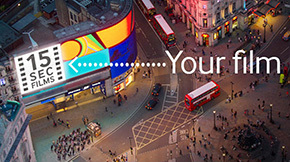 Tell us what you need, and we'll deliver the technology to fit your budget and timescale. 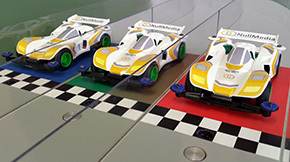 Racing cars with the power of your mind! A brandable attraction designed for events. 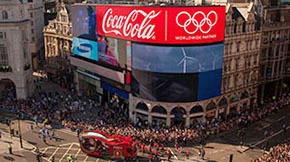 Live scores, automatic medal celebrations, and simulcasting of the offical BBC TV Olympic feed. Bringing the Real Racing game to the big screens at Piccadilly Circus. Offering aspiring filmmakers the chance to see their Instagram creations on Samsung's big screen! © 2016 NullMedia. All rights reserved.